Our yard signs print on 4mm. White Coroplast. Can be 1,2 or full color on 1 or 2 sides. Any colors, graphics and pictures can be printed on your yard signs. Optional H-Stakes. All common sizes. We can also take custom size orders on our Coroplast products. Basic and standard graphic design services available. cards stand out from the crowd. There are so many local and online printing companies. I'm not a marketer and I needed some personal touch on my projects. None of them but print4penny offered me the service that I really needed. I'm very happy with the service and result. Thank you! Print4Penny makes everything simple and easy. 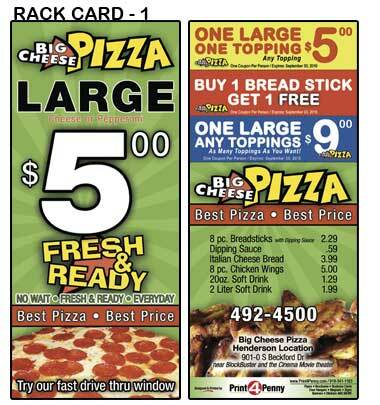 In my busy restaurant marketing world, it helps to have trustworthy partners like Print4Penny. I feel confident knowing the job is being done…and done well! Thank you so much for the great work you have done for us.